Check out centurymart.com for thousands of additional products. Let us help you grow your practice! 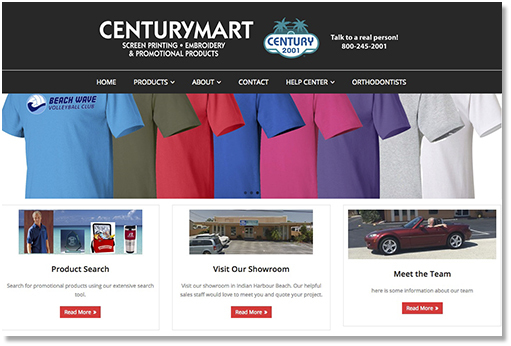 Century 2001 Screen Printing & Embroidery has been helping to grow businesses like yours since 1975. Our attention to detail and follow through have also made us a top distributor for promotional products. If you are looking for T-shirts, golf shirts, or imprinted mugs visit our site!